I know that it's been a while since I've written a post specifically for this blog (I believe mother-in-law #4 is suppose to be coming up); but December and January have proven to be very (extremely) busy times for me, as well as transitional in major ways, both professionally and personally, and some of what's been going on in my life (private) has been over-whelming, to say the least. 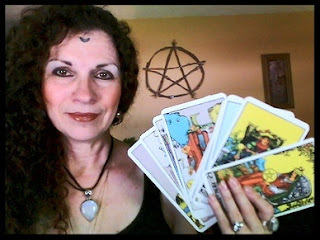 But I can't get into all that right here, right now-- I'm going to be preparing to head out to Omaha this afternoon, where I'll be doing In-House Tarot Readings at Next Millennium in Omaha, Nebraska...3141 N 93rd St. I'll be there from 3 to 7 pm TODAY!